© under license to London News Pictures. 30/03/2011. 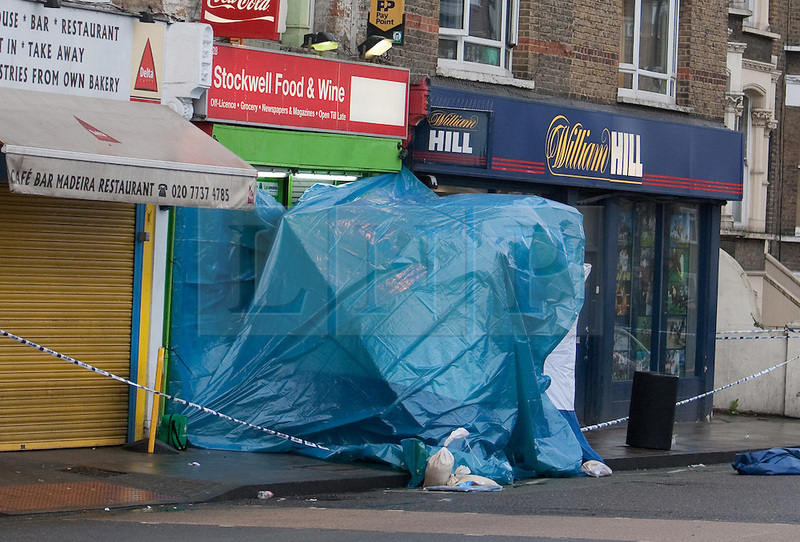 Police forensic officers investigate the Stockwell Food & Wine shop, Stockwell Road, Brixton where a 5 year old girl and a 35 year old man were shot last night. . Photo credit should read LNP..